The popular grant program is open to K – 12 teachers in public, charter and private schools to integrate the arts into teaching and curriculum. Applications due by Midnight October 29. Greensboro, N.C., September 25, 2018— ArtsGreensboro announced today that one of its most popular annual grant cycles, the 2018-2019 Teacher Art Grant Program, is now accepting applications for school arts projects coming up in 2019. 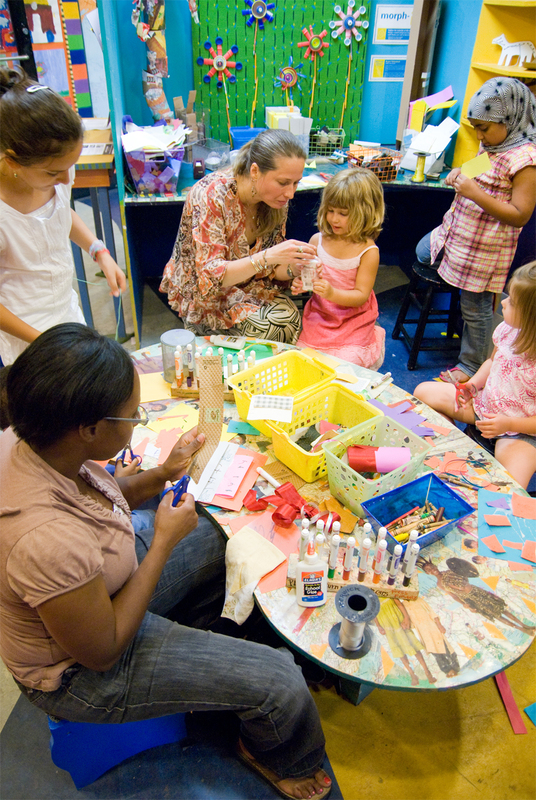 Encourage cooperative arts projects among schools, teachers, PTAs, and other organizations. Teachers, PTAs, and schools serving K-12 students in the Greater Greensboro area may apply for grants ranging up to $1,500 for projects that involve direct student and teacher participation. Teachers in any subject area may apply; grants are available for public, charter, and private schools. Funding may be used for securing arts resources, providing arts programs, and hiring artists or arts consultants; funding may not be used for purchasing standard classroom art supplies or for administrative or operating expenses. Grants for projects that provide a meaningful arts experience will be given priority over capital expenditures and needs for permanent equipment. The panel prefers to fund just one project per school each year. Please contact ArtsGreensboro Grants Manager Chip Berry at grants@artsgreensboro.org with any questions or to review applications before final submission. Notification of awards will be made in December 2018, with the final report due to ArtsGreensboro by June 4, 2019. In 2017-2018, ArtsGreensboro awarded grants for arts projects ranging from a few hundred dollars to $1,500 to 15 teachers in public, charter, and private schools. The total amount awarded for the 2017-2018 school year was $12,990.